Ikea and Health Lab have issued recalls due to undeclared nuts whilst Food Standards Australia New Zealand (FSANZ) is investigating an increase in food poisoning cases possibly due to rockmelon consumption. Ikea Australia has issued a recall for a number of its chocolate products due to undeclared presences of nuts and milk. Ikea has recalled its Choklad and Godis products due to the presence of undeclared milk, hazelnuts and almonds. The chocolates are sold at Ikea stores in New South Wales, Australian Capital Territory, Queensland, Victoria, South Australia and Western Australia. Food Standards Australia New Zealand (FSANZ) is warning consumers who are allergic to milk, hazelnuts or almonds not to consume the chocolate. The chocolate can be returned to Ikea for a full refund. Ikea said it wants customers who have brought the chocolate to know the products are not suitable for those allergic or sensitive to the ingredients. “Concerned customers are welcome to return affected products at the nearest Ikea store for a full refund. Proof of purchase is not required,” Ikea said. A recall has been issued for Health Lab Energise Choc Protein Balls and Refresh Choc Mint Protein Balls. The protein balls are sold at Caltex petrol stations in New South Wales, Queensland, Western Australia and Victoria. The product is also available at On the Run convenience and petrol stations in South Australia. The recall has been issued due to an undeclared presence of cashew nuts. Consumers who have a cashew nut allergy are been warned by FSANZ to not consume the protein balls. The product can be returned to the point of purchase for a full refund. FSANZ is investigating a possible increase in Salmonella poisoning from eating rockmelons. The decision to investigate follows an increase in reported Salmonella poisoning cases across Australia possibly due to eating rockmelon. Rockmelon has often been connected to Salmonella poisoning incidents with notable cases occurring in the US in the 1950s, 1960s and 2002. FSANZ said whilst it waits for further information the best advice is consumers, especially says infants, the elderly, pregnant women and those with comprised immune systems, should not eat rockmelon. “FSANZ will continue to work with the state and territory enforcement agencies and the Federal Department of Health and update its advice to consumers,” FSANZ said. 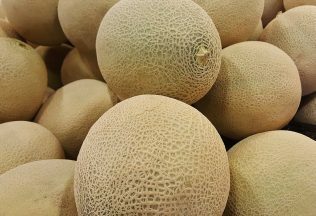 What causes salmonella in rockmelon? The New South Wales Food Authority website says previous overseas research into rockmelon and salmonella has suggested contaminated water, fertiliser, contact with animals and insufficient cleaning could all be contributing factors. Prior NSW study has found that both whole and sliced rockmelons could include salmonella.